After a weekend of exciting games, two teams remain undefeated. Cloud9 and FlyQuest found themselves on top of the NA LCS heap after the first weekend of play of 2017. Cloud9, who dispatched TSM on the opening day in convincing fashion, secured a second win over Team Dignitas on day three. The match was a close affair, impressing many fans who were unsure what to make of the new Dignitas lineup. Cloud were able to record a 2-1 victory with Dignitas winning game two in just 33 minutes, showing that this may well be a match we see down the road in the post-season. Dignitas did manage to pick up a win on their return to the LCS, knocking off Pheonix1 2-1. Cloud9’s former sister team, now known as FlyQuest, turned heads on their debut with a pair of strong wins. After beating EnVyUs on day two, they faced a team who have made four playoffs in a row—Team Liquid. It looked like experience would count for Liquid after they took FlyQuest apart in game one, but the rookie side rallied hard. 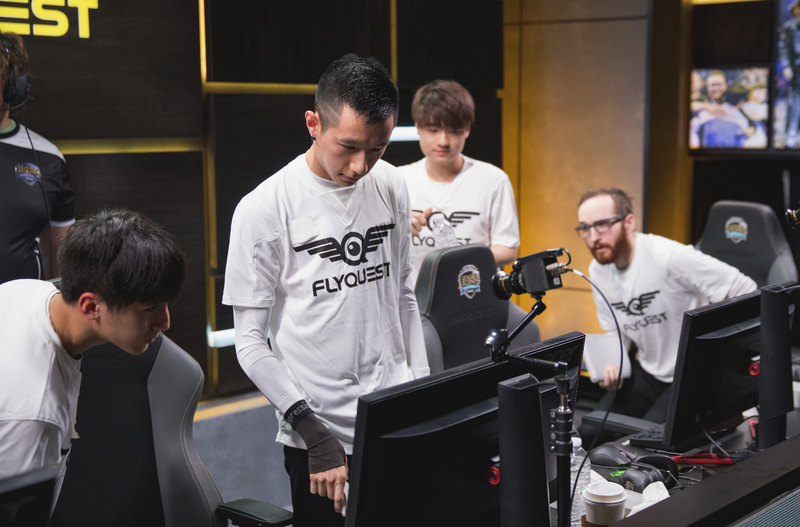 After levelling the series, FlyQuest took the third game in a lightning fast 25 minutes. In the final two games they kept Liquid to just six kills in each. TSM rebounded from their loss to Cloud9 with a thrilling victory over Immortals. After two gruelling 50+ minute games, in which both teams topped 90,000 gold, the teams were locked at 1-1. Game three saw a much more assured TSM performance, cleaning up the objectives and taking a decisive win inside 40 minutes. Counter Logic Gaming also opened their account for 2017, winning against EnVyUs 2-0. That loss and the loss to FlyQuest leaves EnVyUs struggling at the bottom of the table alongside Echo Fox, who were unsuccessful against both Pheonix1 and Immortals.